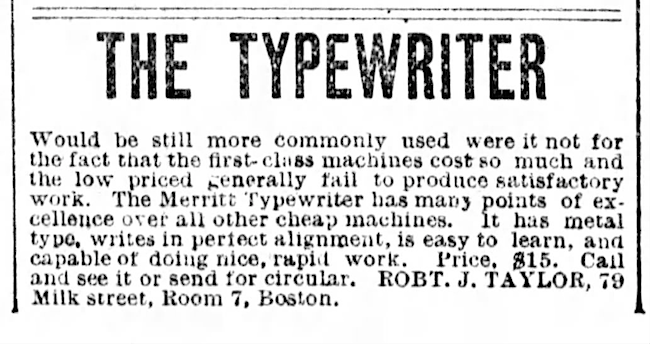 Most sources place production of the Merritt to 1890, but a search of digital archives reveals it was introduced in 1889.1 The Merritt was offered as an economical alternative to the standard, full-sized machines of the period, and the prevalence of extant machines suggests it was a commercial success. Serial numbers reach well into the thousands. The Merritt appears to have been sold from 1889 to 1896. 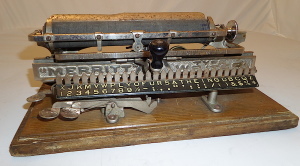 Robert Messenger at oz.Typewriter reports that the Merritt was designed and engineered by brothers Mortimer and Charles Merritt, and that this linear index machine was produced by the Merritt Manufacturing Company of Springfield.2 Messenger offers a detailed account of the men’s lives and patent applications here. 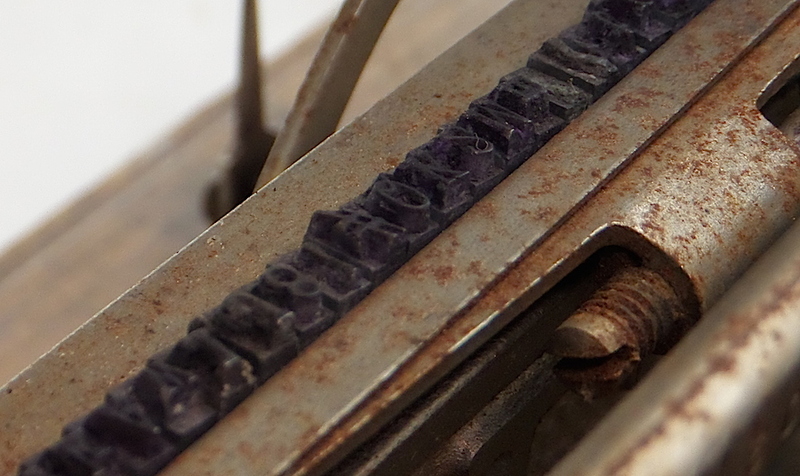 The Merritt did not employ a ribbon, but rather an ink-pad system. The advantage, the company claimed, was that users would not sully their fingers. 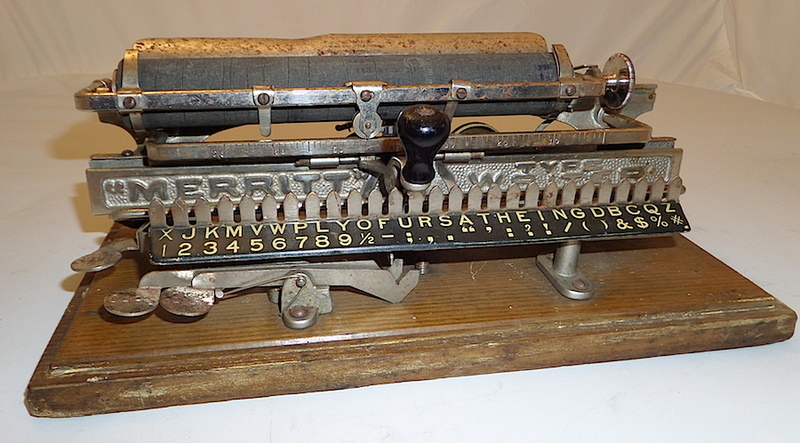 The Merritt was not a toy index typewriter, but a heavy-duty typing machine, capable of serious labor. Its frame and components were crafted from strong metals and mounted upon an oak base. The Merritt was no Simplex. The first advertisements for the Merritt appeared in the middle of 1889; advertising ceased just after 1896.3 This suggests a six- or seven-year production run. It remains possible, however, that the Merritt was manufactured for a longer period. That noted, most advertisements were placed between 1889 and 1891. The highest serial number on an extant machine is 13828, see here. The lowest is 611, see here.4 The placement of the serial number varies: on the earliest machines, it was stamped on the right side of the base (and for unknown reasons the numbers 1234 also); on later machines, it was stamped on the surface of the base, either on the back right or front right. The machine on the top (ser. no. 611) represents the early version of the Merritt — patent information is not printed on the paper table. This machine likely dates to the middle of 1889. The bottom machine represents the later version, and patent information is printed on the paper table. 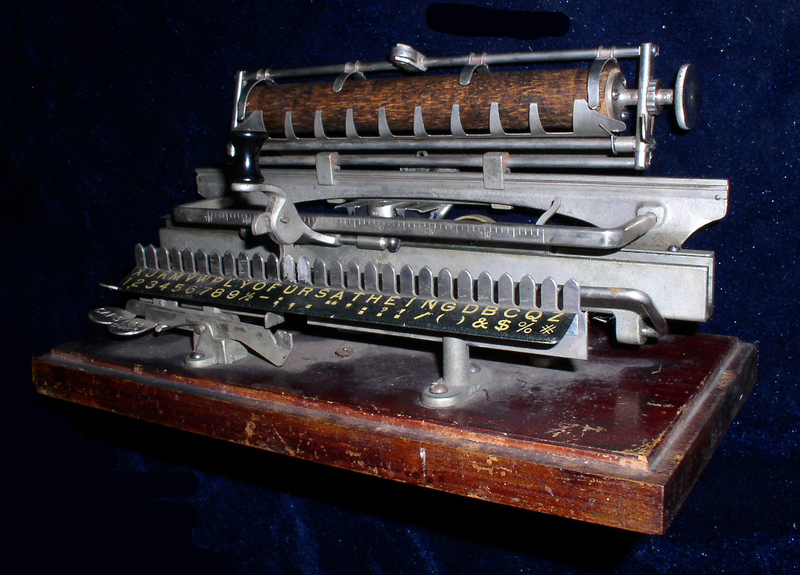 Herman Price displays an early version of the Merritt at the Chestnut Ridge Typewriter Museum, see here. The site mentions that only a few of the early variants survive (or were ever made). The “later,” however, can be dated to October 1889, when it first appeared in advertisements (see the “Advertisements” section below). One advertisement notes that the Merritt also was offered with font for Spanish, French and German, and also Scandinavian languages. A leatherette or oak cover was sometimes included for a few dollars more, and sometimes for free. The leatherette cover appears to be a carrying case. The oak, more a cover. 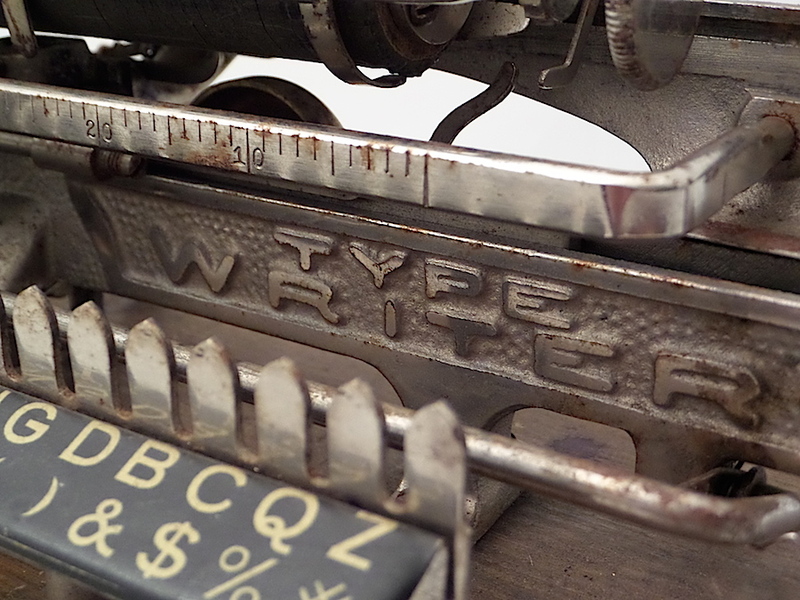 The spelling of typewriter varies, appearing either as one or two words in advertisements, and two words on the face of the machine. According to reports in the Chinese Recorder and Missionary Journal (1896), missionaries adapted the Merritt as a learning aid for the blind in China. 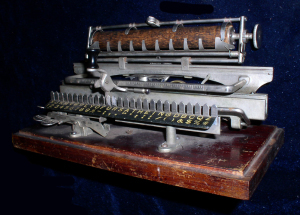 As the type slugs were interchangeable, missionaries crafted a unique Chinese script, which it installed in the machine. It seems students employed the device themselves, though it use is not entirely explained in the journal. Did the type slugs produce a raised script that the blind could read? Or did the students use it to communicate with others who could see? Note: This selection suggests the Merritt was still being sold in 1896, but it is difficult to tell how contemporary this account is. The author may be indicating events a year or two past. That said, advertisements dating to 1896 do exist (see “Advertisements” section below). Despite having puzzled over these clippings, it is still not clear to me how the Merritt was employed. Please comment if you can sort it out. 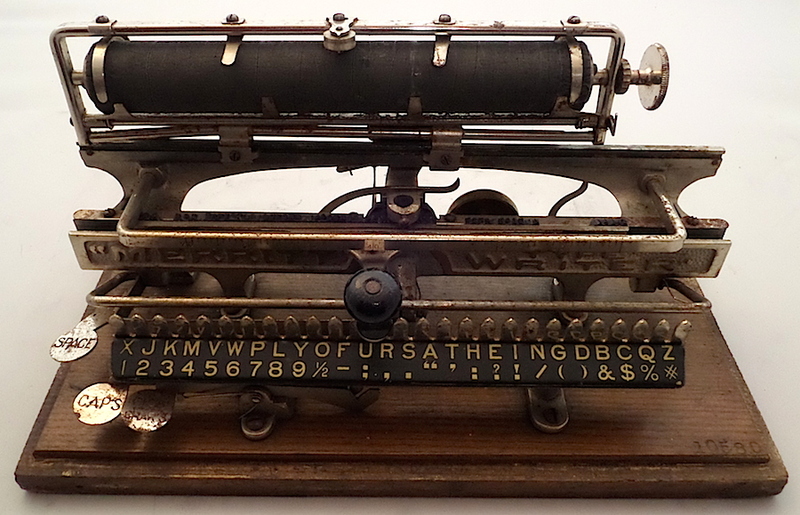 Top view of Merritt Type Writer. Serial number stamped, front-right. Ser. No. 10580. Individual, metal type slugs. Many on this machine have slid out of the housing. 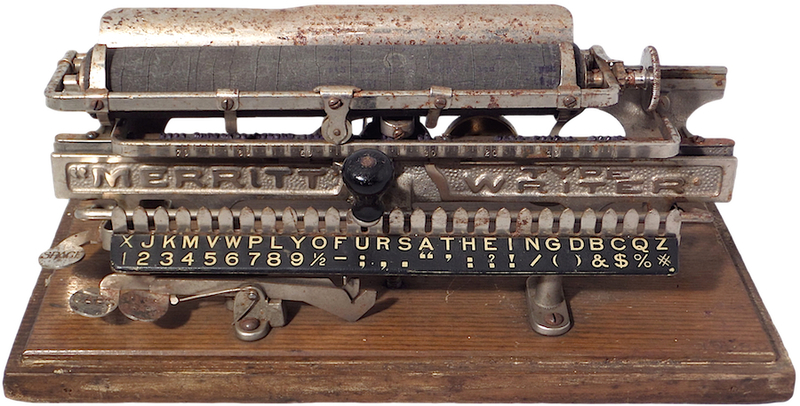 “Type Writer” as two words on name plate. 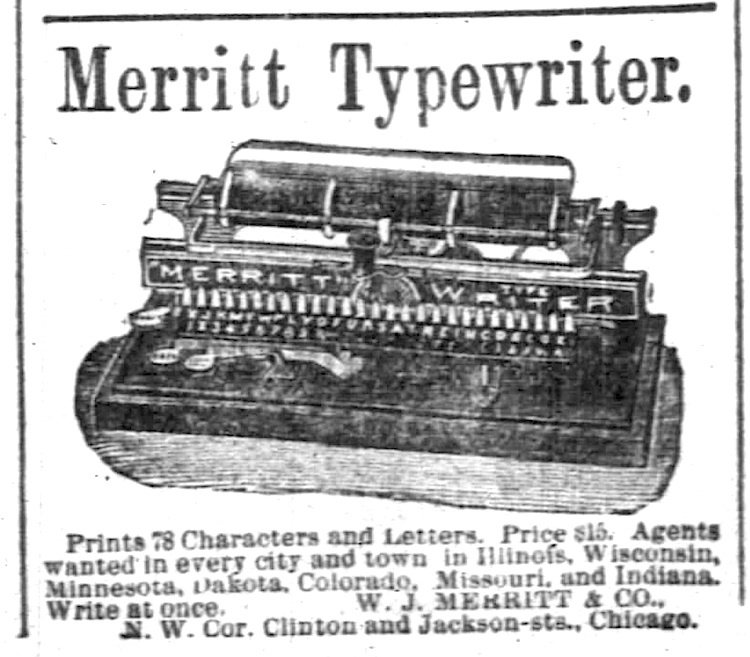 Merritt spelled typewriter variously as one word or two words in advertisements. A “blind” typer. The operator had to lift carriage to view work. From Boston Post (Boston, Massachusetts), Aug 26, 1889. From Chicago Daily Tribune (Chicago, Illinois), Oct 13, 1889. From Decatur Daily Republican (Decatur, Illinois), Dec 9, 1889. From Scribner’s Magazine, Volume 6, December 1889. Source: Google books. By no means a toy! From the Meriden Daily Republican – March 20, 1890. Endorsed by a Texan. From The Austin Weekly Statesman (Austin, Texas) May 29, 1890. From The Evening Visitor (Raleigh, North Carolina), Mar 21, 1891. From The Milwaukee Journal – Dec 23, 1891. The second page of the ad above. 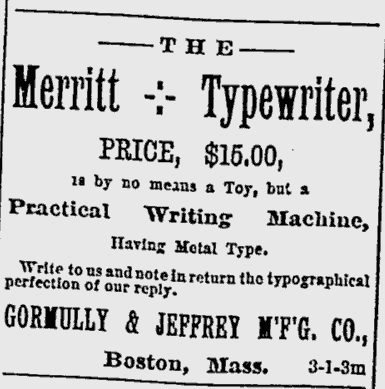 The last advertisement I could locate for the Merritt Typewriter, from the Boston Post (Boston, Massachusetts) July 13, 1896. Note, this is a classified listing, so “new” could simply mean “new in box,” i.e. unused old stock. My Merritt Typewriter as seen at TypewriterDatabase.com. 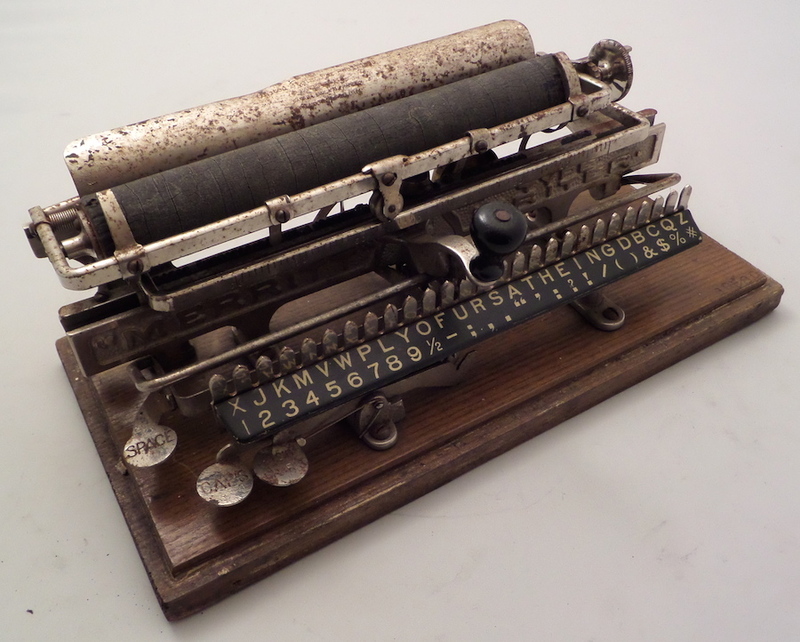 I have a Merritt typewriter in its wooden box with printed instructions for use. 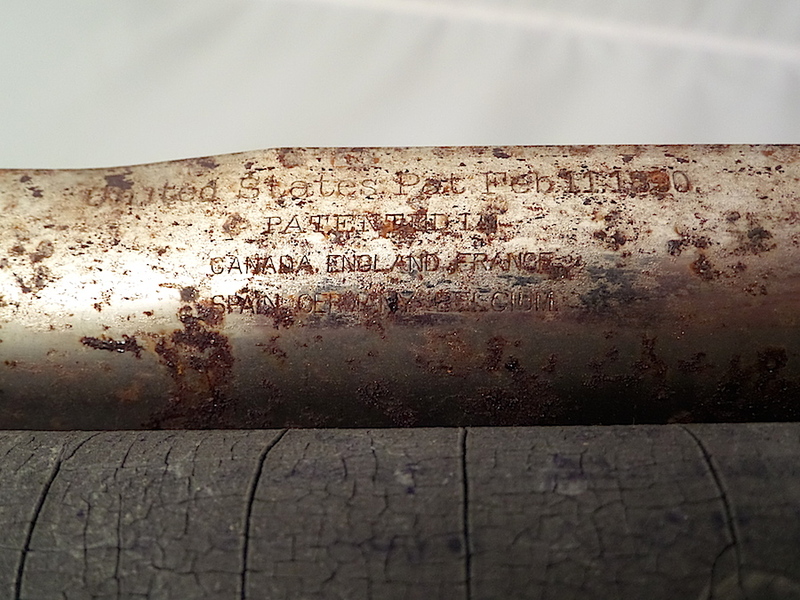 It is engraved with “United States Pat. Feb 11, 1890 – Patented in Canada, England, France, Spain, Germany, Belgium”. 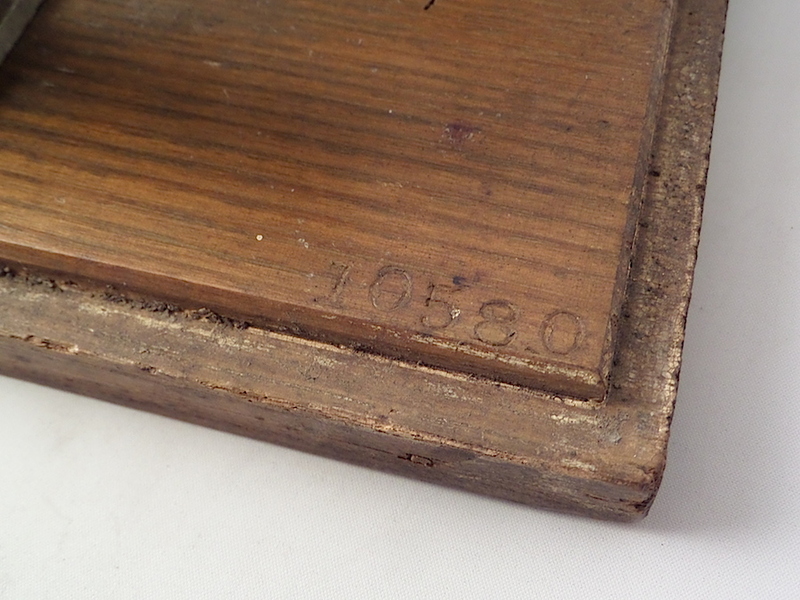 Engraved in the wooden base is “11200”. What shall I do with this? Is there a market? I purchased it in NH, for no particular reason, about 60 years ago at a farm. auction. There is a market for this machine. Mine, incomplete, cost about $200. Complete and with box? Probably much more. But, note, the Merritt would appeal to only certain collectors.